Just spent 2 days in Istanbul, taking part to the Symposium on Robots for Language Learning. 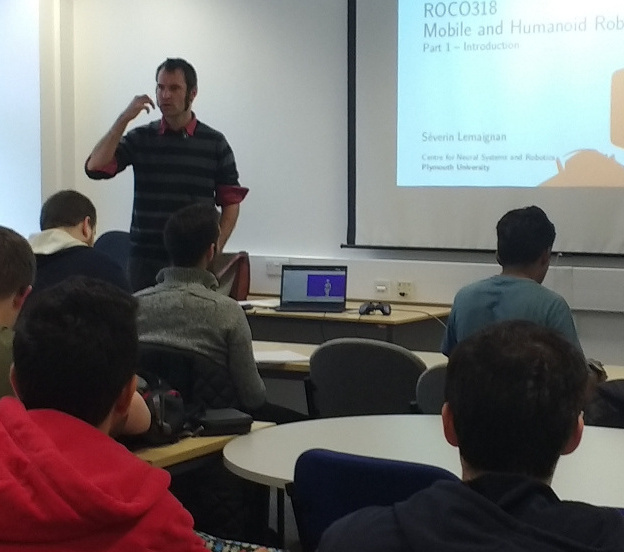 I gave a talk on what would it take to go from where we are to a broad, ubiquitus use of robots in the classroom. Slides are available online! Our paper The PInSoRo dataset: Supporting the data-driven study of child-child and child-robot social dynamics presenting the details of the PInSoRo dataset has just been published in open-access in PLOS ONE. If you are looking for a large (45+ hours) dataset of annotated, naturalistic child-child and child-robot social interaction, have a read, and download the dataset! 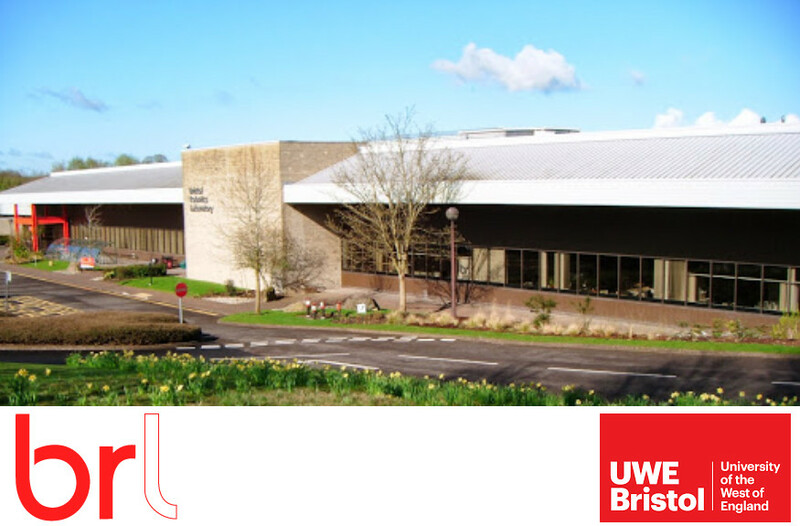 I have just started my new position at the Bristol Robotics Lab in Bristol! I'll keep on working as Senior Research Fellow on cognition for social robotics, in close collaboration with Manuel Giuliani . Exciting times ahead! We have presented our paper on how the HRI community sometimes overtrust results in social psychology in the alt.HRI track of HRI 2018 conference. Go and have a read! Our new open dataset of child-child and child-robot social interactions is online. 120 children freely playing together, 45+h of recordings, 11500+ annotations of social behaviours: Go and grab it! I have been invited to give a keynote at the AAAI Fall Symposium 2017. 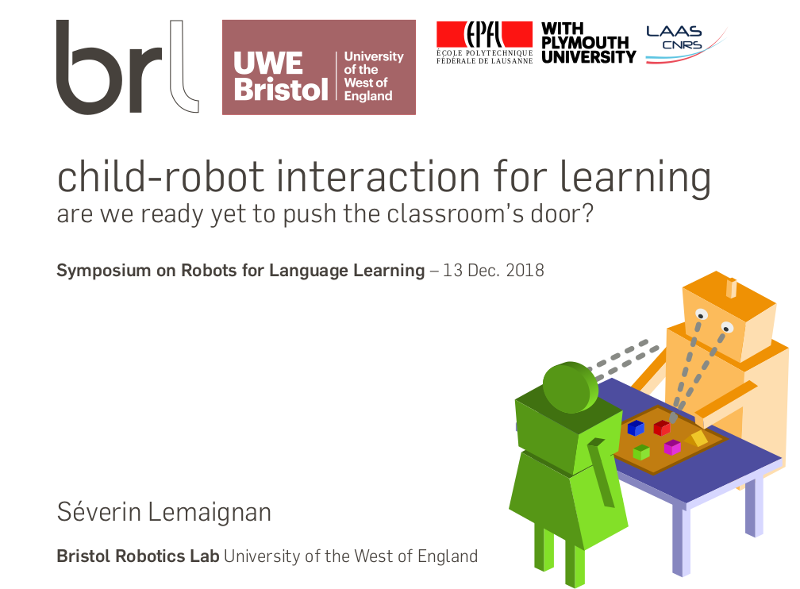 I'll be talking about our new dataset of child social interaction and how deep learning could be a way forward for social robotics. The slides are online. I'm starting a faculty position at Plymouth University as a lecturer (assistant professor) in robotics and artificial intelligence! Exciting! Update! We have been awarded the Best 'Design' Paper Award for our paper on the Cellulo robot. Great! We have two papers accepted for presentation at the HRI 2017 conference next March in Vienna! The first one presents Cellulo, the new little robots we have created at EPFL: small, cheap, 'child-proof', holonomic and self-localised, they might well be the future of robotics in the classroom! 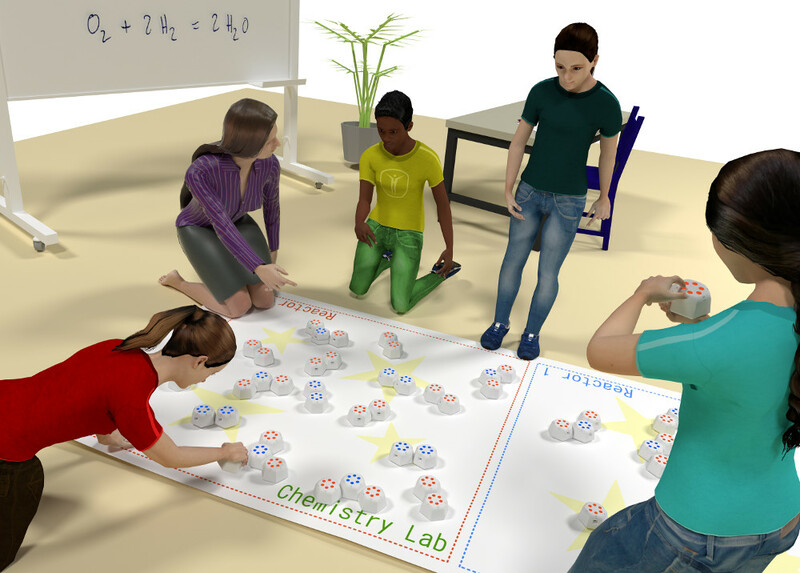 And we already have many ideas how to use them to enhance learning in innovative ways, like this real-world simulation of molecules. 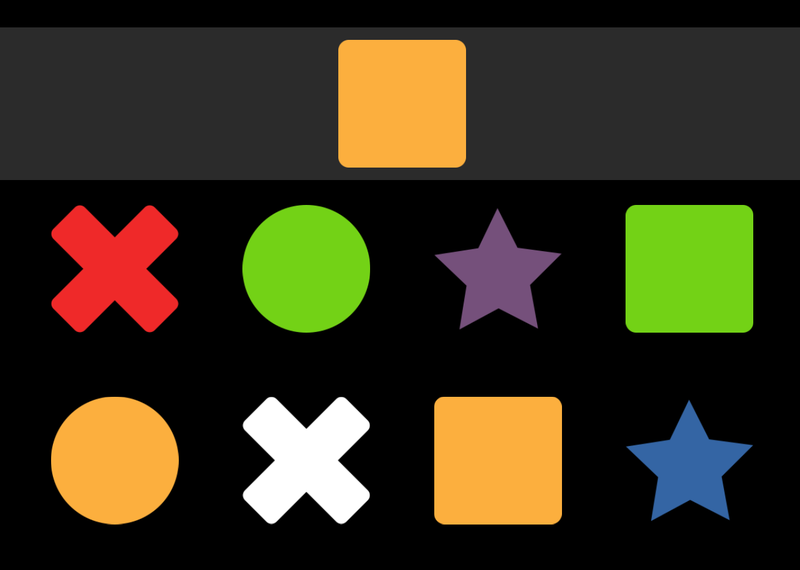 The second one reports on the results of our experimentations with automatic speech recognition for children: to put it simply, it does not work yet :-) Our dataset is online.